Elon University is the premier student-centered learning environment, preparing graduates to be the ethical leaders the world needs. Elon students are ambitious, curious and compassionate, inspired to be big thinkers and creative problem-solvers. Student-centered: Elon is a close community – students develop strong, mentoring relationships with faculty and staff, with their peers and with alumni. Globally engaged: You’ll find Elon students engaged in learning in every corner of the world through the university’s top-ranked study abroad program. Experiential: We learn best through experience, so an Elon education is filled with hands-on learning opportunities in the classroom, in the lab and on the job. 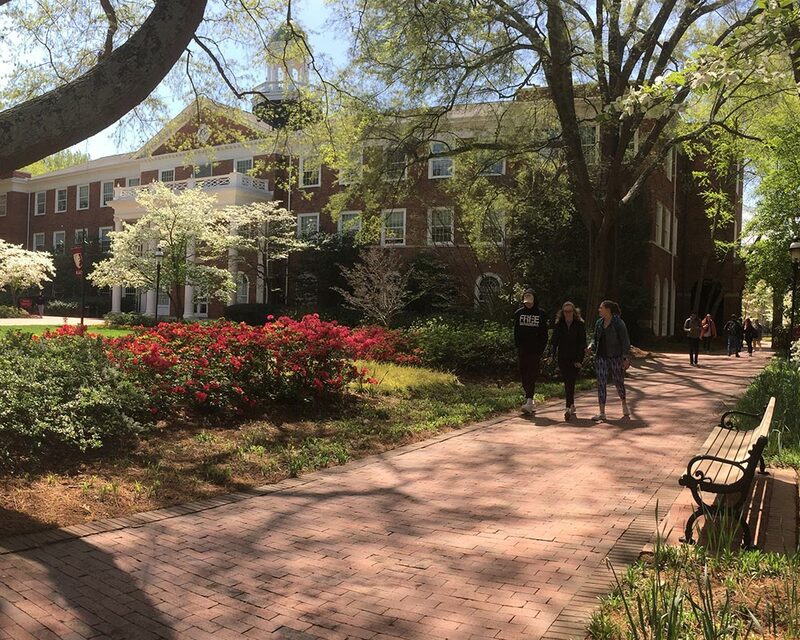 Environment for learning: With one of the nation’s finest residential campuses, Elon provides facilities and learning resources that breed powerful collaboration and spark bold ideas. Ambitious: Members of our community are restless in all the right ways, unafraid to set high expectations, rising to every challenge and constantly striving to build a better world. Elon is an academic community that provides the right balance of challenge and encouragement, helping students discover the ambition to seek something great, and the courage to achieve it. Elon is a university with a powerful trajectory – ever on the rise and always striving to achieve higher levels of excellence.